Toady we celebrate Robert Burns - poet & balladeer, Scotland's favourite son & champion of the common people. We'd like to take the time to honour this national icon by celebrating some of our favourite Scottish cheeses. This selection is available in our Cheese Rooms for anyone wishing to enjoy the finest Scottish fare at home. Humphrey Errington's daughter Selina has followed in the family footsteps and created this ewe's milk cheese along the lines of Manchego. Named after the highest waterfall in the picturesque Clyde Falls, the unique vegetal flavours come through with a hint of earthy sweetness. Younger wheels have a fresh acidity reminiscent of almost ripe wild strawberries. A natural affinity to single malt whisky. Humphrey Errington’s powerful blue cheese is not for the faint hearted, but then not many cheeses would be a worthy partner to whisky. The sharp acidity & meaty vegetal flavours are truly Scottish in every way, & this cheese is best eaten right at the end of the meal as its flavours are quite overpowering. Made on the northeast coast of Scotland near Dornoch Firth, 4 Ewes takes its inspiration from Spain's Manchego, but perhaps more closely resembles cheddar in texture and flavour profile. Fudgy on the palate, a delectable sweet nuttiness foregrounds a long and persistent finish. Perfect on a cheeseboard and amenable to a range of wine pairings. A small cheddar truckle infused with 10 year Ledaig Single Malt whisky from the local distillery.The weather plays a big part in the taste of this cheddar. Exposed to the elements of the Atlantic, the salty briny flavours are very evident, as well as the mashed barley used in the whisky-making from the local distillery. The taste is powerful, bordering on fermented, with complex herbal flavours all coming into play. 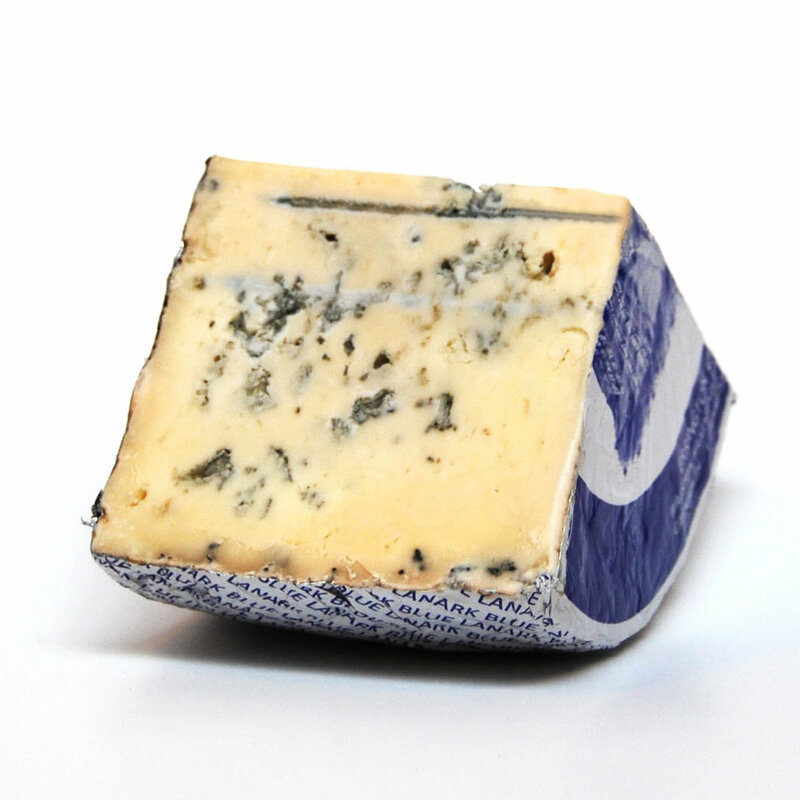 Made in Tain on the gorgeous Dornoch Firth, this ewe's milk blue takes its inspiration from France's Roquefort. With a similar structure – a rich, creamy centre & loosely stacked curds – the texture on the palate is silky and smooth with delicate crystals. The flavours are balanced, with a sweetness emerging from an initial hit of salt. The finish is peppery and complex. Lovely with sweet wines & whisky. For those outside of London, or unable to make it to visit us in-store, we have prepared a special Scottish Cheese Board selection in our online shop; the perfect accompaniment for haggis, 'neeps & tattis' and, of course, whiskey. There's Burns Night fare on the menu at La Fromagerie Bloomsbury with Haggis Croquetteswith Whisky sauce, 'Cullen Skink' Souffle & of course a Scottish Cheese Plate.